Home / Tips/Tools / Why is International Shipping So Complicated? 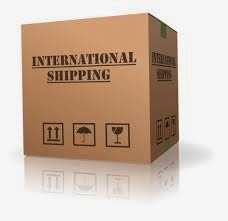 Why is International Shipping So Complicated? Before joining Ace Industries, I worked for two prominent international freight forwarders. Five of those tender years were in outside business sales, and in that experience I discovered that there is a tremendous amount of misinformation, confusion, and trepidation surrounding international shipping. Heavyweights in many industries eat, sleep and breathe this daunting activity, having become “globalized” and learned the hard way how the system of exports and imports works. Far more common, however, are small and medium sized businesses fortunate to find themselves on the cusp of crossing that threshold, but with the challenge before them to learn as much as possible about this complicated system—as painlessly as possible. Thankfully, this forum does not provide enough space to impart all the fine points of this area, but it can introduce a few basics. Believe it or not, understanding just a few essentials can make the process substantially easier and less risky for the company. Ø Documents take on a lot more importance. These include the commercial invoice, export declaration (AES filing), certificate of origin, shipper’s letter of instruction, and others. The key for most of our personnel is simply to understand that these items are an essential part of the international transaction, and that the information contained on them is scrutinized along the way. The business potential to reach new customers abroad is powerful and immense. Engaging in international relationships is a new frontier for us and could be a very rewarding one. To realize the benefits of it will take a little bit of a learning curve in this area but I am confident the company will soon reach new heights. Samantha Morgan is the Quality Manager for the midwestern branches of Ace Industries. She has a vast understanding of Logistics and Supply Chain initiatives and continuously works to improve business operations at Ace.